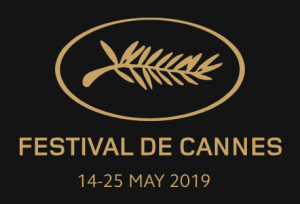 In an awards ceremony that produced few, if any, surprises, the jury at the Cannes Film Festival, headed by Spanish director Pedro Almodóvar, awarded its top prize, the Palme d’Or, to the biting satire The Square, directed by Sweden’s Ruben Östlund. The runner-up Grand Prix award went to French director Robin Campillo’s BPM, which chronicled the gay-rights clash with French pharmaceutical companies and politicians in the 1990s over the AIDS epidemic. Sofia Coppola was one of three American prize winners, receiving the best director award for The Beguiled, a female take on the male-oriented movie starring Clint Eastwood that debuted 45 years ago. (Nicole Kidman, who starred in the movie and appeared in three other films that were screened at Cannes this year, was awarded a “Special Prize.”) Joaquin Phoenix, who seemed legitimately surprised when his name was called out, was named Best Actor for his performance in Lynne Ramsay’s You Were Never Really Here, which received some of the most enthusiastic reviews from Cannes critics. German-born actress Diane Kruger received the Best Actress Palme for her role in Fatih Akin’s In the Fade, her first film role in her native language. The movie was also the only double winner, sharing the award for Best Screenplay (Ramsay) with the British/Irish drama The Killing of a Sacred Deer (Yorgos Lanthimos, Efthymis Filippou). The film that received the strongest reviews at Cannes, Russian director Andrey Zvyagintsev’s Loveless, took the Jury Prize, essentially the third-place award.